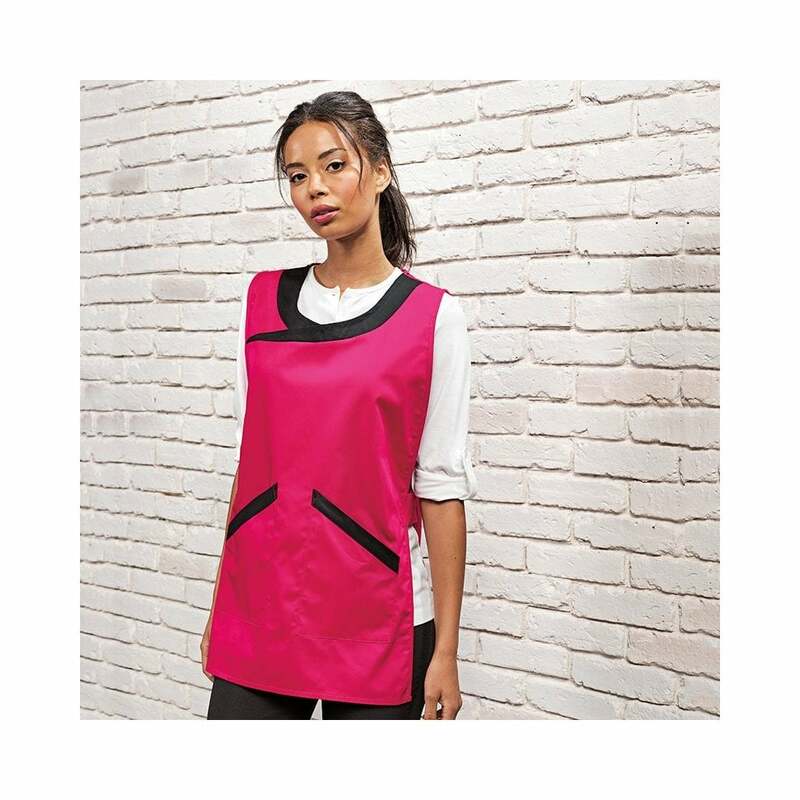 Premier Spa tabard this fashionable tabard is perfect for hairdressers and beauticians. It’s longer in the length and is piped with black. It has two large slanted pockets and adjustable side fastenings. This tabard can be washed at 60 degrees. Colours available are hot pink and black and turquoise and black.